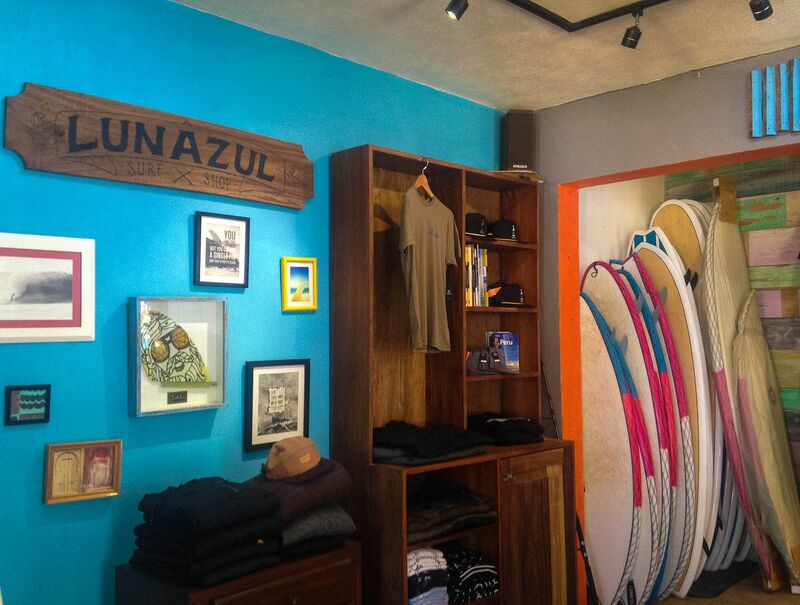 Located right on the beach in the center of town, Lunazul's Surf Shop is an iconic part of the Sayulita landscape. 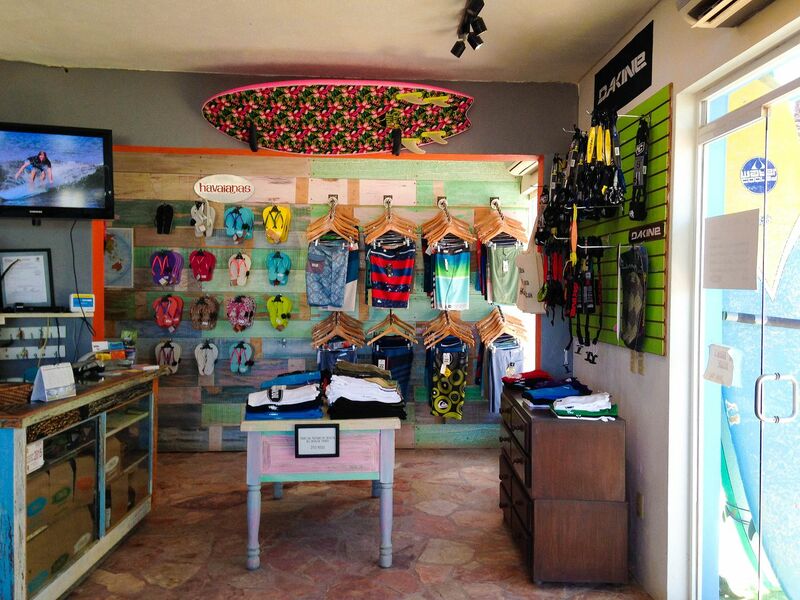 Surfers know them for their convenient board rentals and excellent instructors, shoppers know them for their "The Beach Is My Office" shirts, and locals know them as the home to two Mexican National Champions, shop manager Kalle for surfing and fellow instructor Papas for SUP. 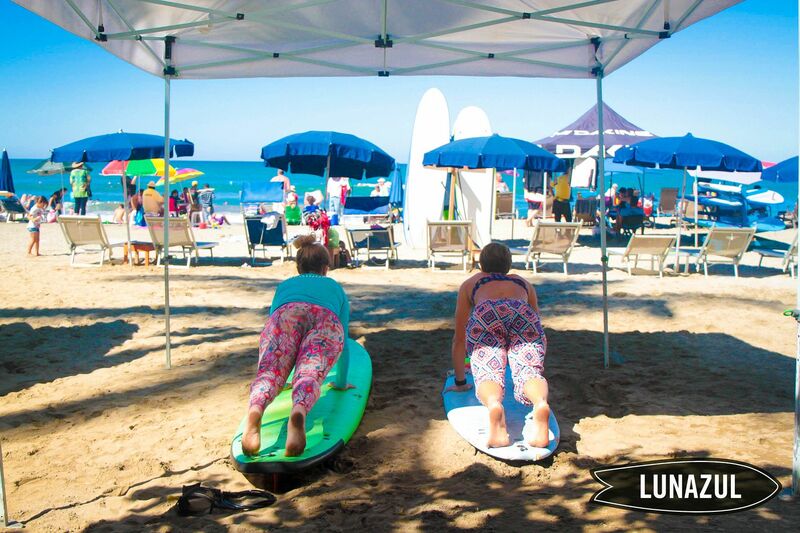 After researching options for private surf lessons in Sayulita, it was pretty apparent that Lunazul was the best: the best equipment, affordable pricing and top quality instructors. I reached out to the school over email about a month beforehand to book my lesson and they responded right away. At 2pm on a random Saturday in January, I was finally going to learn how to surf. 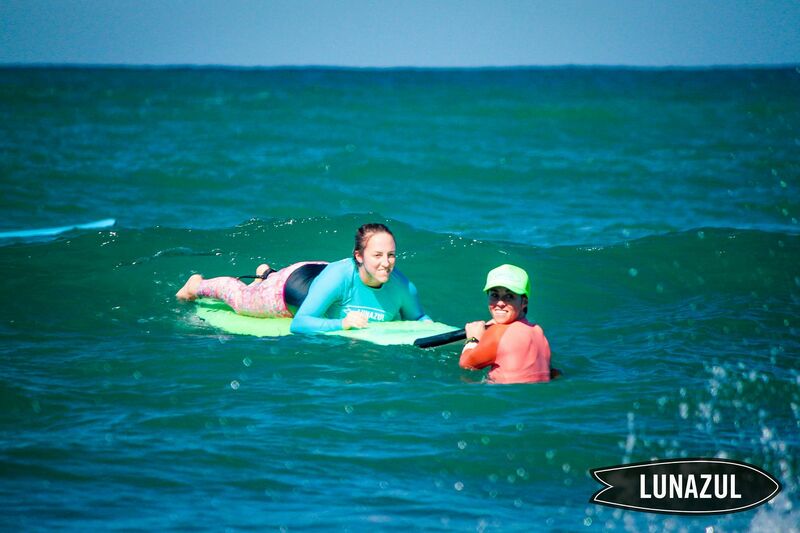 I arrived at the shop and met my instructor, Leah, who fitted me for a rashguard and made sure I sunscreened up. 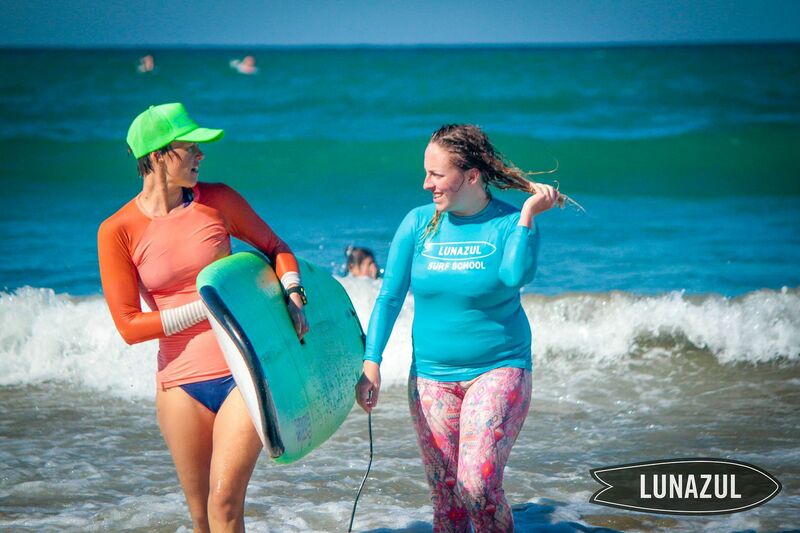 I soon learned that not only was she absolutely gorgeous, but she was everything you'd want in your first surf instructor: talented, fun, patient, caring and encouraging. She was kind and so easy to talk to right off the bat... I knew I trusted her instantly. Leah and I headed down to the beach with the shop's photographer, Javi, and started off the lesson reviewing the basics on the sand. 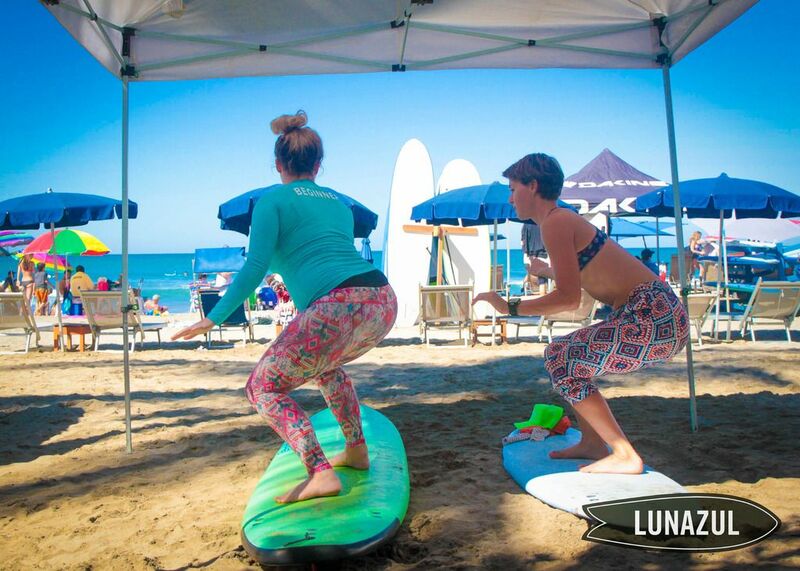 We went over surfing terminology and then safety standards (like making sure to do the Stingray Shuffle!) before practicing the act of standing up. Lucky for me, Leah is also a yogi, so as she walked me through the motions of popping up on your board, she described some of the steps in terms of yoga poses. This ended up being super helpful for me throughout my lesson: thinking about what my body was doing in the context of a yoga flow felt much more ingrained and natural. 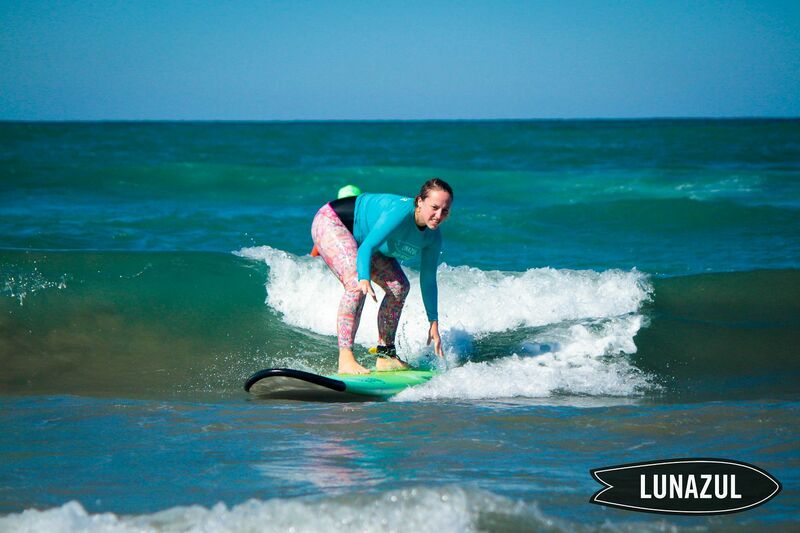 After about ten or fifteen minutes on land, we put on my leash, picked up the board and headed into the waves. Walking into the water, Leah took care to explain why we were targeting which parts of the beach. More importantly she also took the time to start explaining the waves to me and how to read them. 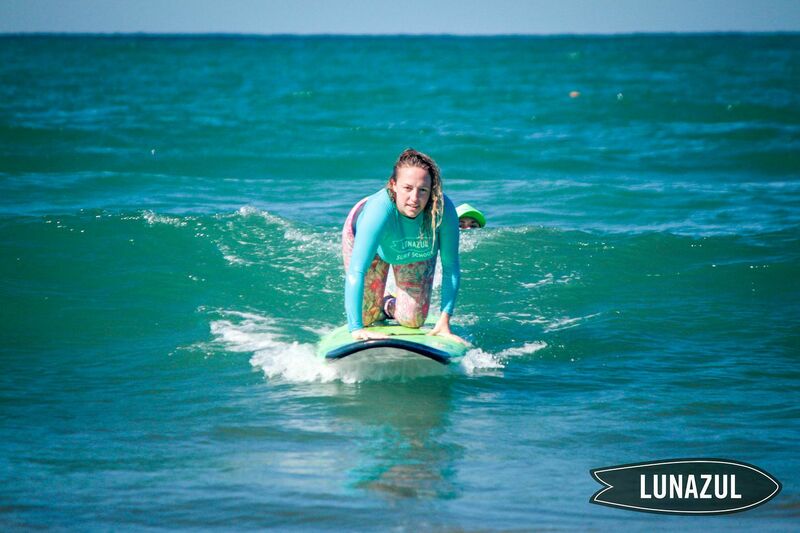 Leah would have me hop on my board and she would spin me around to face the beach. But as the sets rolled in, she instructed me to look behind and get a sense for why she was picking the waves she was, what they looked like coming in and what I was actually riding. 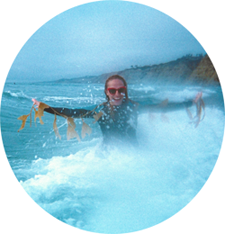 Then, she told me to paddle paddle paddle and soon I was on my own in the ocean, catching a wave. I'll be the first to admit it: for the first half of the lesson, my fears about drowning and the ocean came racing back. I mean, it's hard to remember that something you feared for 28 years of your life shouldn't be a fear anymore. I'd be riding a wave on my stomach, too terrified to try to pop up and fall, or start to get halfway up only to see a kid I was worried about hitting and not make it up past my knees. But each time Leah would take the time to ask what had happened, which made it possible for her to learn what was causing me trouble and adjust accordingly. This is how I knew I had made the right choice with Lunazul. So stoked, I had jazz hands! Not that you can go wrong with them: if you don't stand up on your first lesson, it's free. How's that for a guaranteed good time? 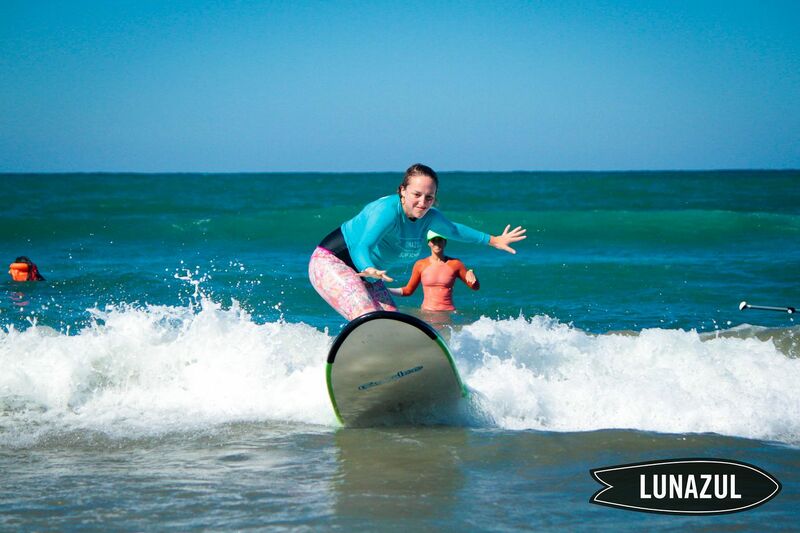 Even if they didn't offer this awesome guarantee, their prices are still amazing: a private 90-minute lesson only costs $60USD and includes your surfboard rental, rashguard and leash, plus an additional hour-long surfboard rental after your lesson is over. Or you can save $20 bucks a person if you find a couple of friends and make it a group lesson! 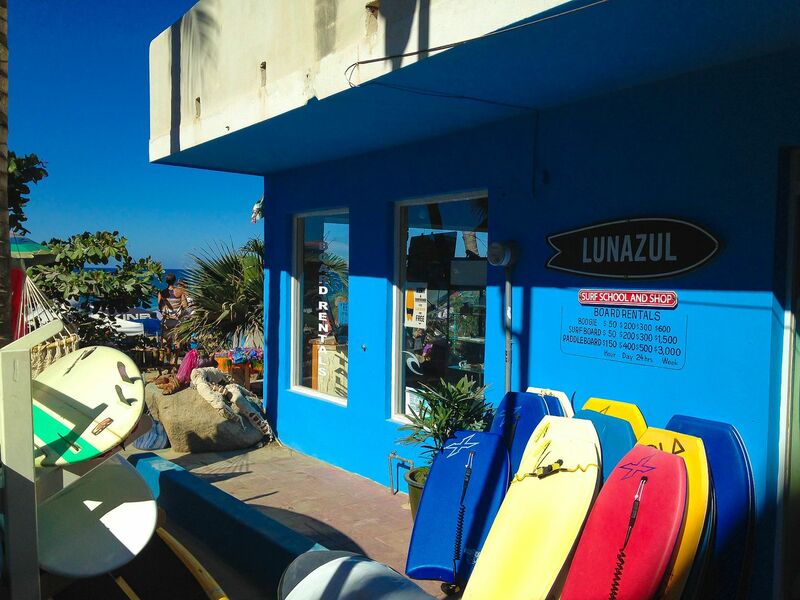 Either way, Lunazul definitely offers the most bang for your surfing buck. After an hour of sun, surf and salt water, and a few solid rides under my belt, I was ready to call it a day. 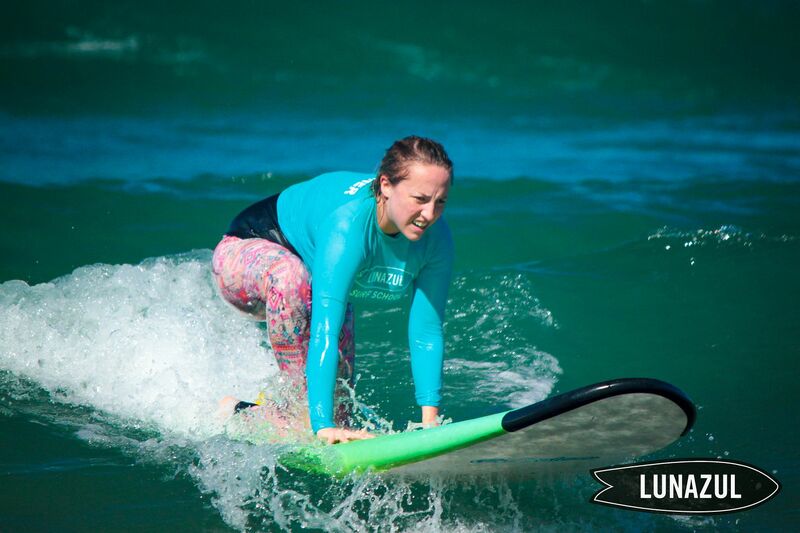 No wonder surfer chicks have such great arms: this sport is hard work! 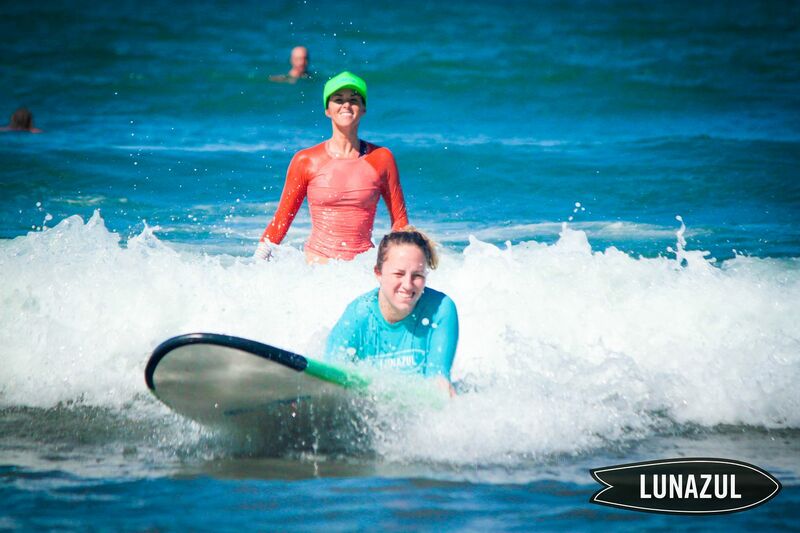 By the end of my lesson, I was an exhausted, albeit stoked, little surfer girl. 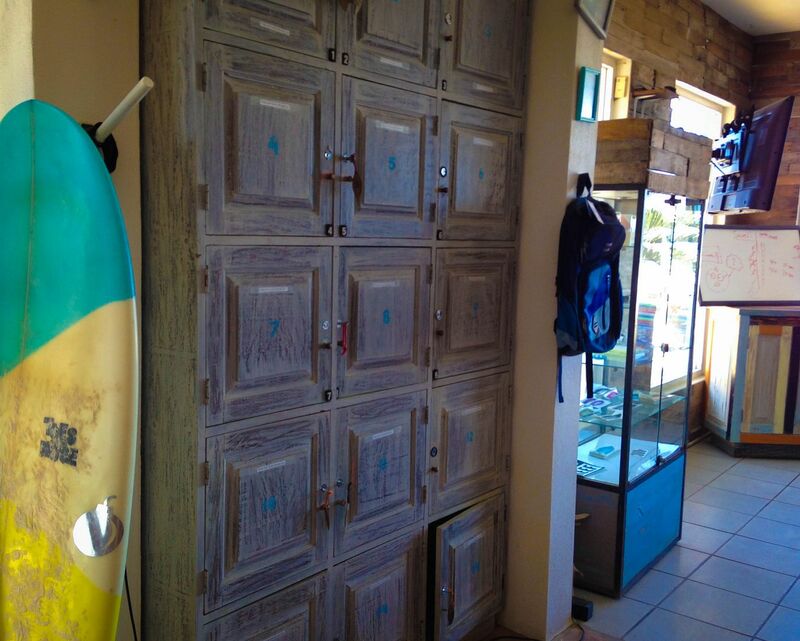 I'm proud that I can now definitively say that you shouldn't leave Sayulita without a surf lesson, waves permitting. 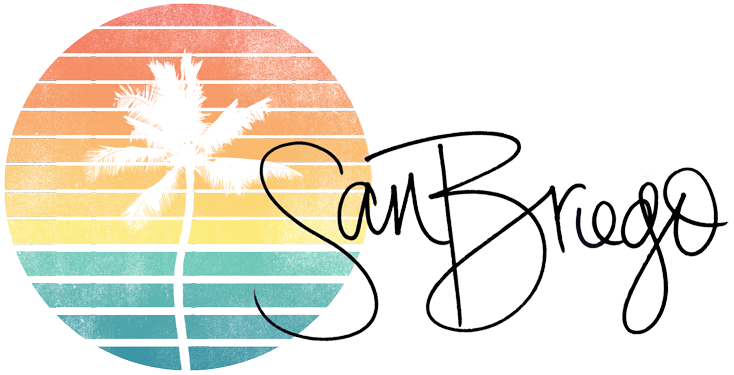 Even if it's something you never had interest in (which I can't possibly understand because it is the coolest hobby you could have), it is a must-do in Sayulita. 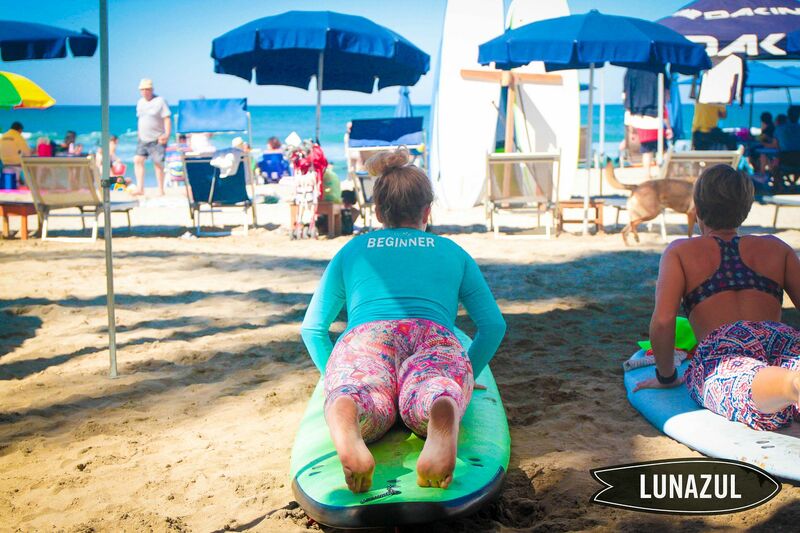 So next time you're in Sayulita, be sure to take advantage of your access to one of the most perfect beginner spots in the world and take advantage of it with Lunazul, either in a lesson or by renting one of their boards for $30USD/day. 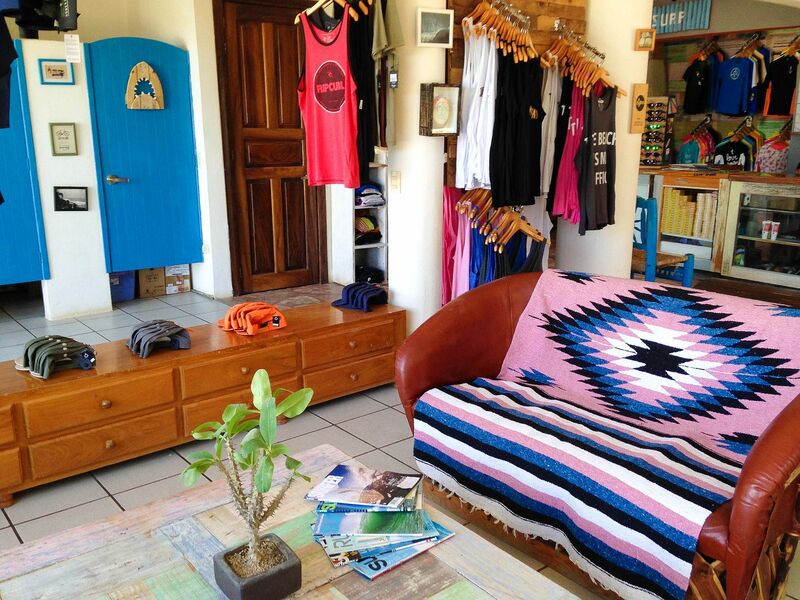 On a longer stay in Sayulita? 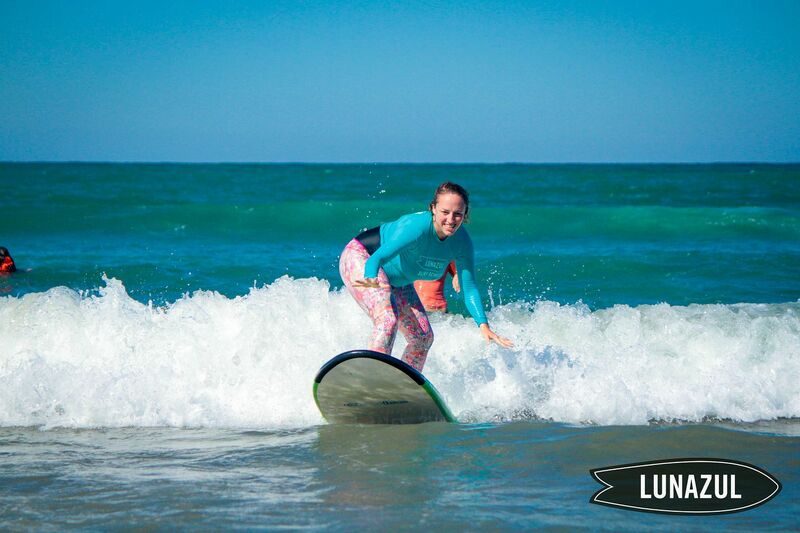 Make it into your own private surf school and purchase 3, 5 or 7 day lesson packages at a great discount. 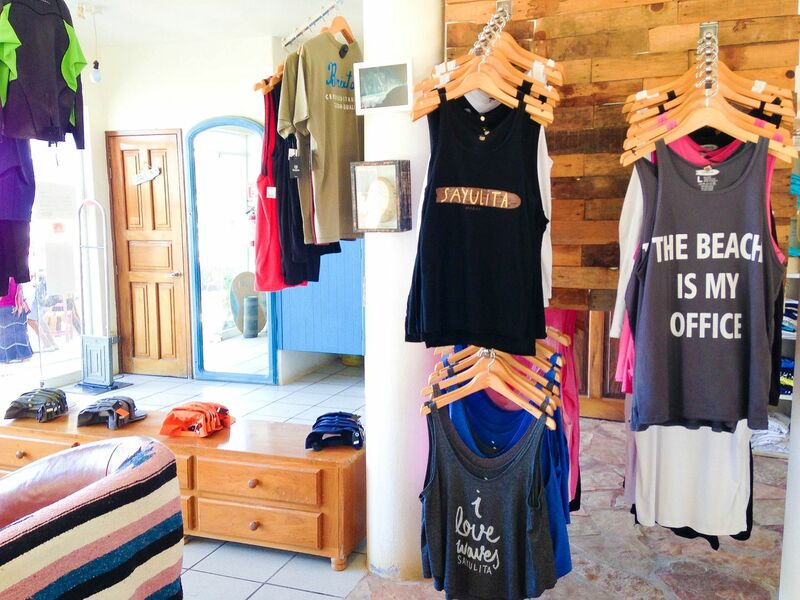 Or at the very least, stop in there and get a shirt. Or four. Because their clothes are seriously adorable. And they are an awesome local business to support. My rad instructor and I took one last surfer girl shot on the beach together before I headed inside to grab my stuff out of the lockers and meet my friend Jess for a taco. I spent the rest of the day super happy about my surfing experience and wishing my arms weren't so tired so I could spend more time in the water. It's true what they say: surfing is addicting. 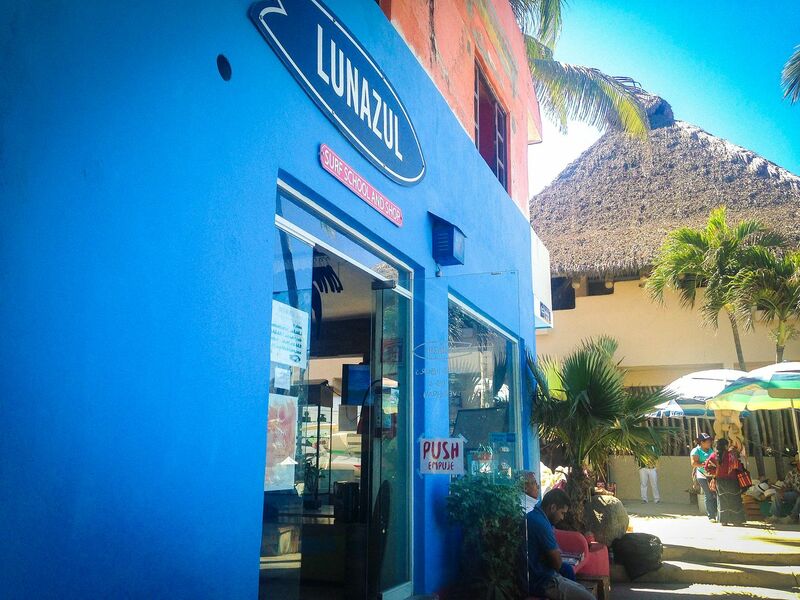 It's safe to say that I left Sayulita as a lifelong fan of Lunazul... they will definitely be my go-to surf school and board rental shop in Sayulita for years to come. 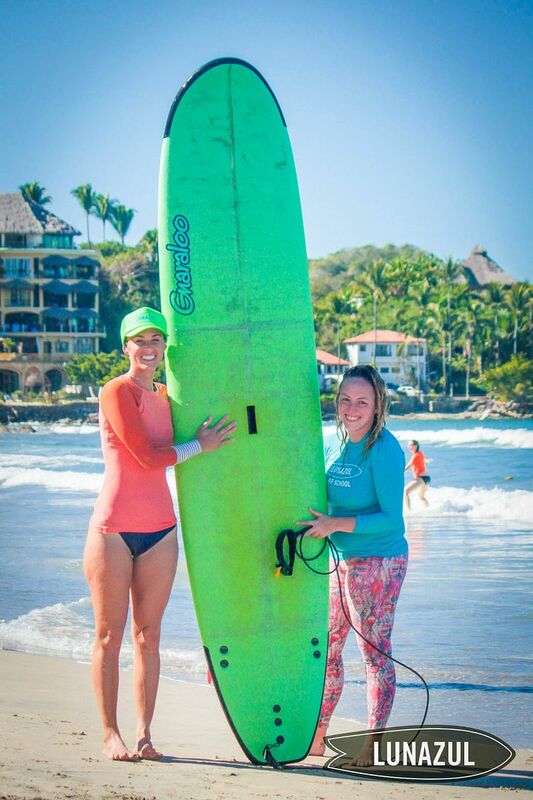 As for Leah, I can't say enough great things about my instructor... who knows, I may just have to plan on attending one of her Las Diosas yoga and surf retreats next year! Photo Credit: All Lunazul-watermarked photos were taken by the amazing Javier Sandoval with Lunazul. Disclaimer: When I reached out to Lunazul to book my lesson, I shared that I was a blogger and they generously offered me a free 60-minute private lesson in exchange for my honest review about the experience. This is about as honest as it gets: they are the best and I love them. 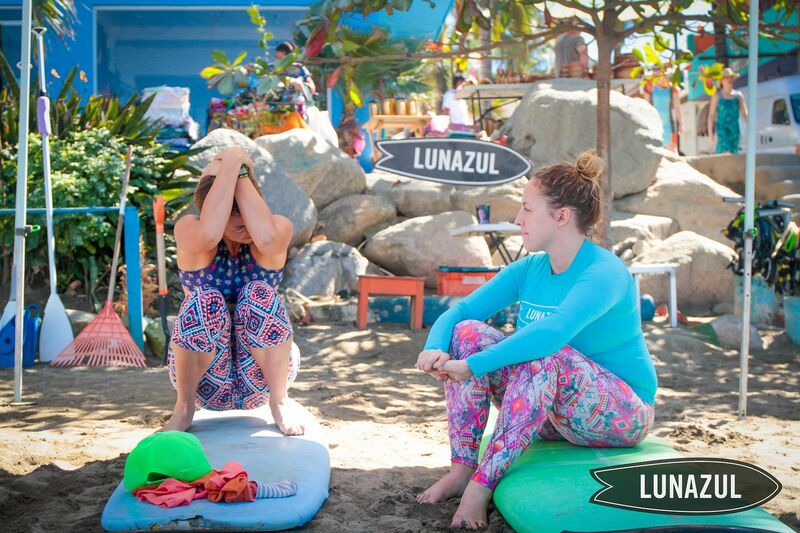 There is no better surf school in Sayulita! 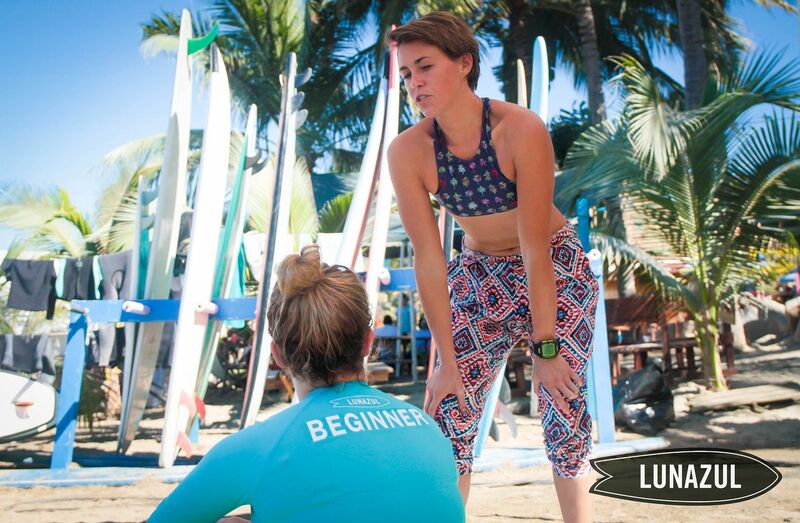 You are so cute in those surf leggings! 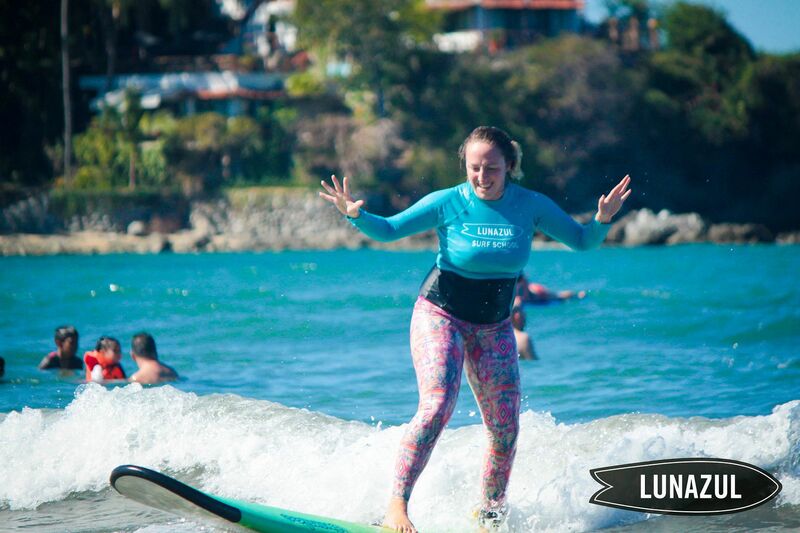 I'm so glad you had an awesome surf lesson -- now I know where to go when I finally make it to Sayulita!